Cases and Storage There are 2 products. A velvet type draw string bag by Magic YoYo - suitable for storing one yo-yo. 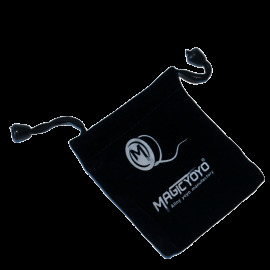 Pop your yo-yo inside the draw string bag, then carry around in your bag or satchel without worry that your yo-yo will get marked or scratched - it will be snug and safe inside this handy pouch. A brilliant canvas carry case by YoyoFactory. Holds up to 8 yo-yos securely within soft foam cut outs, with a front zipped pocket for carrying string and extra accessories. 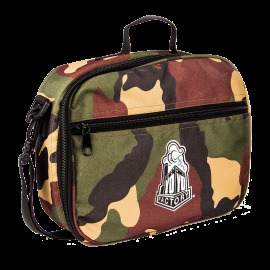 The bag comes with an adjustable strap, features the YoyoFactory logo on the front pocket, and is available in both camo and black designs. Perfect for when you're on the go with your yo!